Founded in 1995, Crystal Exteriors has been successfully providing home exterior services to thousands of homeowners in this area. We provide quality professional services and high performance products including high energy efficient materials. Our business is cultivated by word of mouth testimony, not high pressure sales tactics or gimmicks. Therefore, we can guarantee our customers a professional service with personal care and respect. Hammer and Nail Exteriors is one of the Washington, DC area’s leading retailers for window, door and siding replacement. For more than 50 years, Hammer and Nail Exteriors has been servicing the Washington, DC market with the philosophy that no one should have to compromise service and beauty for budget. As a Marvin® Windows and Doors Authorized Installing Retailer and Dealer Direct, Hammer and Nail Exteriors offers an endless selection of window and door styles, stunning wood options and low maintenance products for new construction, historic renovation or replacement projects. 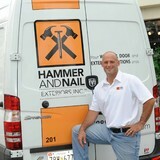 Hammer and Nail Exteriors is a James Hardie Associate Contractor serving DC, Maryland and Northern Virginia. Hours of Operation: Available through booking only. We specialize in high security locks and high security keys, keyless locks, and access control systems. We repair locks, change locks, install door locks, and re-key locks. Whether your need is big or small, we’re here to help. At Mike’s Locksmith, we put our customers first by offering: Upfront Pricing Free Estimates No Travel Fees Guaranteed Materials and Labor If you are not 100% satisfied, we’ll make it right at no extra cost to you! We provide personal service and work is always scheduled at your convenience. You can be assured you will receive excellent, honest service at all times. Find us on Angie’s List and on Yelp to see that out customers agree. Timeless, Elegant, Smart. Dulles Glass & Mirror provides the expertise to bring the attractive qualities of glass into your home, creating the look you want and the performance you need. Our customers value the benefits they get from our decades of success with design, fabrication and installation of architectural glass: bath and shower enclosure systems, desk and table tops, mirrors of all sizes, glass shelves, sliding doors, and much more. Take your time and explore the design ideas and glass options shown here, and in our showrooms. But don’t miss the opportunity to talk to one of our experts – you’ll quickly have your questions answered and see how your ideas can be accomplished – even better than you imagined. We enjoy talking through ideas, solutions, and ways to keep your project timeframe and budget on track. The advantages of our service, quality, and value are also reflected in our warranty, so you know you’ll be pleased that you chose to work with Dulles Glass & Mirror. Our company is based on the belief that our customers' needs are of the utmost importance. Our entire team is committed to meeting those needs, we specialize in only the most energy efficient products available on the market, all of our windows, doors and siding materials have been energy star rated to meet the highest standards available today. 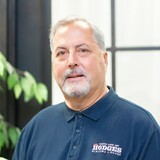 With our unique approach to getting our customers the best price possible, we have the manufactures practically bidding on your job to get your business, as a result you are guaranteed the best value for dollar on every one of our energy efficient products, whether it’s our siding, windows, doors or roofs. As a result, a high percentage of our business is from repeat customers and referrals. We would welcome the opportunity to earn your trust and deliver you the best service in the industry. We supply and install mid to high end windows, doors, siding and roofing. We have an excellent reputation for helping our clients select the right product for their needs and for performing nearly flawless installation. -Beauty and Distinction Intricate patterns, elegant scrollwork and a bold statement, Iron doors are captivating and allow your home to stand out among the rest on the block with timeless elegance. -Increase the value of your home Iron doors can provide you with quality, longevity, and increase the value of your home. According to Remodeling Magazine, steel replacement doors are the number one choice of investing in your home during remodeling or building. We are Maryland's trusted builders of interior barn style doors. All of our doors are custom built to your specifications. Of all the doors we've built, no two are exactly alike. We pride ourselves in building the perfect custom doors for our customers' needs. We want you to have a door as unique as you are! Beautiful, high quality entry doors. Replacement projects or new construction. We are focused specialists for entry doors that make a statement on your home. 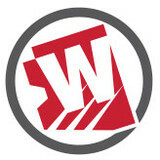 At Zeskind’s, we have two separate divisions for our Region: MD/DC Wholesale Millwork Distribution and Manufacturing Division: Zeskind's is Baltimore’s leading wholesale supplier and manufacturer of Millwork products to contractors, installers, investors and building professionals. We are experts in the specification of historic millwork products. We suggest the best product for each application, and narrow down selections based on budget and the options available. Our specialty is the Baltimore Rowhome, where we have the perfect solution for every millwork need. If you would like to make an appointment with one of our inside sales associates, you can bring your contractor or installer to our showroom to check out various product options and pick up literature and samples. You can also tour our interior and exterior door hanging facility, and our custom millwork shop. Our available product categories are: WINDOWS, INTERIOR DOORS, EXTERIOR DOORS, CABINETS, STAIR SYSTEMS, TRIM, and CUSTOM MILLWORK. Baltimore City Retail Division: At our classic corner retail hardware store, homeowners can shop for all things hardware with the best service and most knowledgeable staff around. Windows and screens can be dropped off to be repaired during our normal business hours. We do not offer field repair or service, all windows and screens must be dropped off at our location. For historic wood window glass repair, we remove the old glass, replace it with new, and re-glaze (putty) your old wood windows. For newer wood and vinyl windows, we can install new factory sealed insulated glass units in most applications. We also provide rescreening for your doors and windows, and offer black and silver aluminum, as well as standard and heavy-duty (pet) screen options in fiberglass. If you need a new screen, security or storm door, we can make or order one to custom fit your particular application. We Are Offering Same Day Rolling Gate Repair And Services . We Are Local and Affordable Rolling Gate Company in the Area. Call Us For Free Quotes ! Whether you require a new installation or want repairs done, we are here for your safety. Both licensed and insured, you can rest assured that you receive nothing but the best. What kind of services do Fairfax door dealers provide? Door dealers are responsible for a variety of services, including door installation, replacement, door repair and custom door design. If you need a new door, Fairfax, VA door dealers will help you determine what kind you need, as well as shape, color, size and more. From barn doors to French doors to front doors, these professionals can help you choose, install and maintain your door investments. Wood doors are beautiful, versatile and tend to be the most popular choice for both interior and exterior doors; they are easy to custom build, and include oak, cherry, walnut, mahogany, maple, fir and pine. Some standard wood doors have MDF cores wrapped in wood veneers, which minimizes the chances of warping as real wood expands when wet and contracts when dry. If your heart is set on a wood door but you think the Fairfax, VA climate might cause it to warp, talk to your door professional about a furniture-grade veneered door. Aluminum doors have an insulated core and come in a variety of colors and finishes. With a baked-on enamel finish, they won’t rust or need repainting, and many come with a 20-year warranty. Next to wood they are the most expensive and have to be custom-made. A Fairfax, VA door dealer can help you find a reputable aluminum door manufacturer. Find door dealers and installers in Fairfax, VA on Houzz. 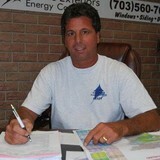 Look in the Professionals section of our website and search for Fairfax, VA door dealers and installers. Read reviews, look at project photos and see how a pro can help with your home improvement project.